Rose Quartz gemstone music themed jewellery makes charming music gifts! TAF Music Gifts use rose quartz in our music themed jewellery as it has a nice pale pink colour. We mount the stones within a handcrafted musical setting, which makes them unique and special. You will not find them for sale elsewhere! The prices of music necklaces vary depending on the individual design and the material of used. We currently have 4 Rose Quartz necklaces for you to choose from. Click on an image below for details of the individual piece. Some interesting gemstone info: The chemical composition of quartz is Silicon Dioxide. They have a wide range of colours - transparent, milky white, pink (Rose Quartz), purple (Amethyst), yellow (Citrine) and more. The colour of rose quartz varying from pale pink to rose red and it is due to very small amounts of metals such as manganese, titanium or iron present in the crystal. You may also be interested in our Quartz-based music themed earrings. All Rose Quartz treble clef necklaces, other music jewellery and non-jewellery products are designed and handmade in our workshop in Herefordshire UK. 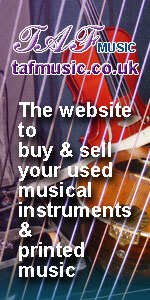 They make charming music gifts for musicians, family and friends.